UK Marketing & Advertising Agency AdStorm launch the website of their events marketing arm, "Wagdog Promotions", supplying a full portfolio of marketing support services for public events. AdStorm is a fast-growing marketing & advertising agency, and to better showcase their skills in marketing public events, they have launched the Wagdog Promotions website http://www.wagdog.co.uk. AdStorm can draw upon both director and former promoter Robert Frost's experience in organising concerts as well the agency's extensive experience in the marketing support of other public events - from trade shows, exhibitions & seminars through to major motorsport spectacles. This uniquely positions AdStorm to support events at three levels - firstly they can consult at the highest level to help customers develop strategies for successful events, secondly they can work at the tactical level to provide design, branding & general marketing support for the marketing team and thirdly they can work at the delivery level to supply a wide range of branded & designed products. Large format design and print - including both indoor and outdoor graphics, banners, hoardings and vehicle graphics. Passes, Lanyards & custom clips - also cloth labels, identity cards & other access control items. Brand Consultancy - We provide a complete range of brand creation and management services, including logo design and corporate identity. Advertising - We can consult on your creative strategy, and provide creative advert development and media planning and buying services. Event promotion - a wide range of services to promote your event. Brochures - We design and print high quality brochures with genuine impact. Programmes, flyers and posters - and in fact any other design & print requirements a customer might have. 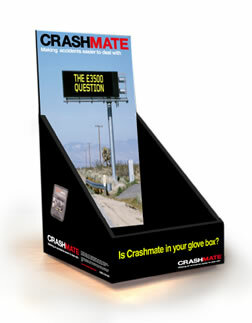 Promotional items - from mugs to keyrings to flash cards to watches. Personalised to the customer's own design. "We are a marketing agency that understands the particular needs of events marketing. This means we get to grip with our customers needs quickly and develop communications that really work", said Robert Frost, Director, AdStorm. "We can handle all of your marketing communications - from exhibition stand design, to advertising and media buying - through a single account manager, ensuring all your marketing communications are consistent and coherent." Customers wishing to discuss their requirements should telephone AdStorm on 08456 444567. 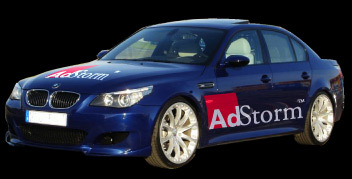 AdStorm is a trading name of Precis Marketing Ltd, registered in England & Wales number 4000153.